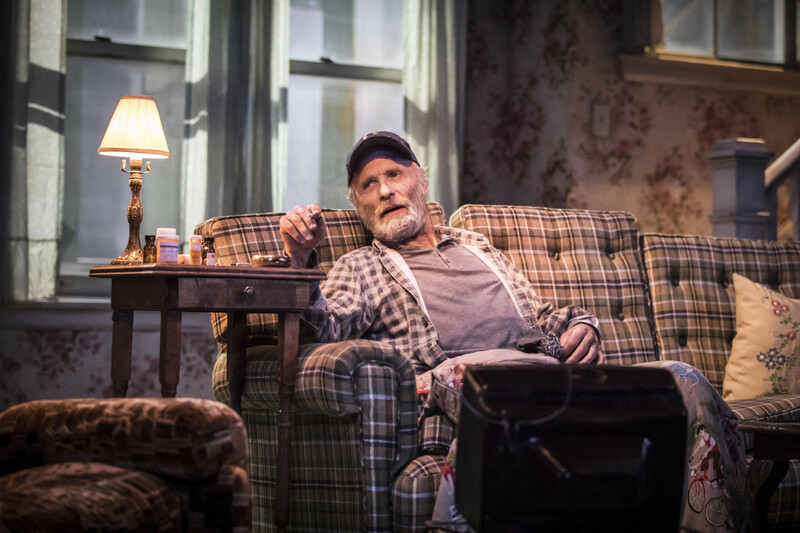 There are some classic lines in Sam Shepard’s brilliant 1978 Pulitzer prize winner, Buried Child. `We can’t not believe in something – we just end up dying if we stop. Just end up dead’. America in the grip of a malaise, America tearing itself apart and here, right in the middle of the 1970s, Shepard’s resonant metaphor speaks directly to post presidential Trump-land USA 2016. 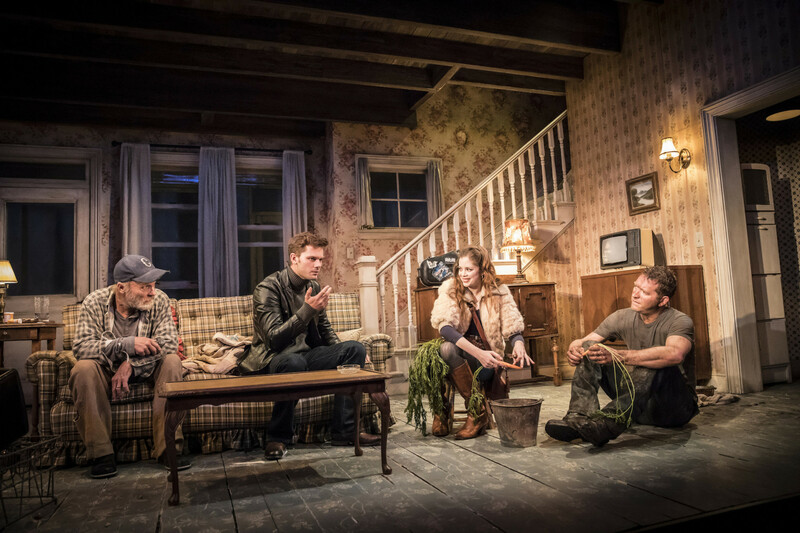 American theatre has never been short on family dramas – perhaps because `the family’ has always been the seat, the epitome of the American dream – the quintessential idea of a home of one’s own and `raising a family’. In the 1970s, like the 1930s, the US began a downward economic spiral. Shepard pitches his vision in the mid-west, in its agricultural sector where declining, booze-sodden patriarch, Dodge (Hollywood star, Ed Harris making his London debut and exuding unfussy charisma) coughs and spits and ekes out his dying days reclining on a sofa whilst his wife bellows inanities from the bedroom above or disappears to spend time with the local priest dressed in her best Sunday finery. Shepard is not afraid to pile layer upon layer of seeming absurdity onto this failing family of father, mother and two wholly dysfunctional sons – Tilden, an exile from New Mexico and the hobbled Bradley, a bit too eager with the hair razor. Into this ménage step two innocents – grandson Vince (Jeremy Irvine) and girl-friend, originally from LA, Shelly. Somehow, Shepard manages an extraordinary balancing act. Having raised the level of absurdity to a high water mark, gradually his dialogue switches to a poetic philosophical distillation of loss and regret. 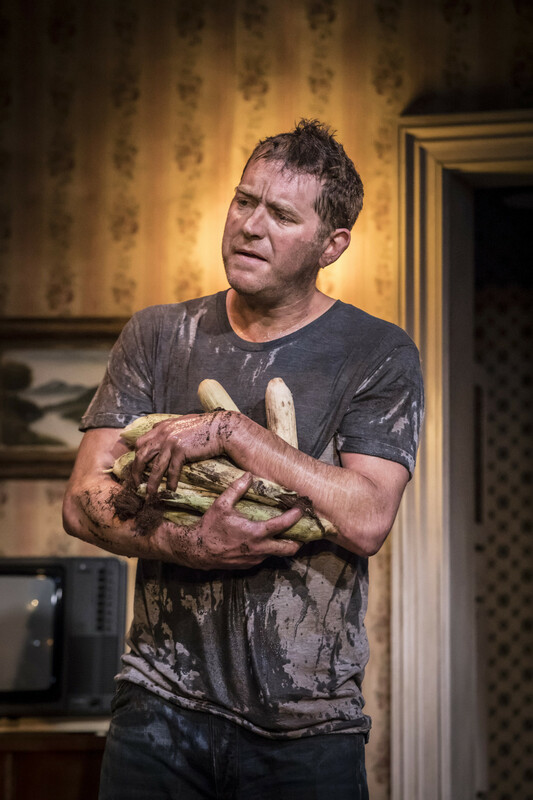 Buried Child is quintessentially a play about truth, lies and secrets, revelation, inheritance and the replacement of one generation by another. But it’s not just the subject matter and its extraordinary application to today that makes this production so compelling and haunting. 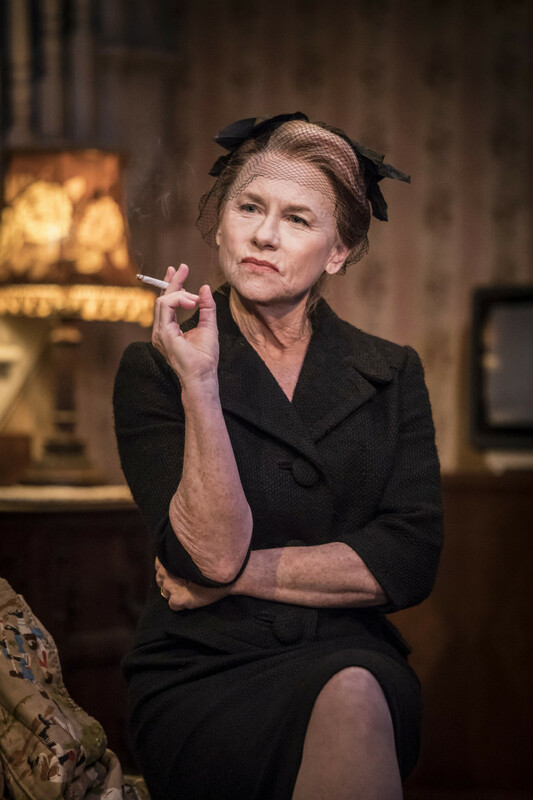 This entry was posted in 2016, Reviews and tagged American metaphor of disintegration, Amy Madigan, Barnaby Kay, Charlotte Hope, Ed Harris, family drama, Gary Shelford, Jeremy Irvine, Sam Shepard, Scott Elliott, The New Group, Trafalgar Studios on December 5, 2016 by Carole Woddis.